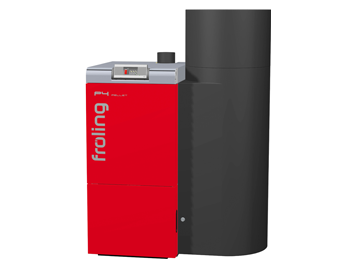 User-friendly, compact, economical and safe: The new T4 from Froling meets all your needs. 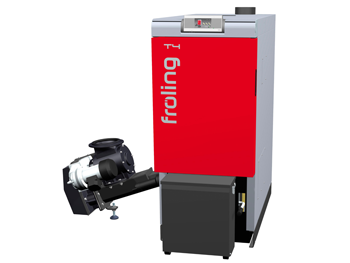 This boiler can efficiently burn both wood chips and pellets due to its well-designed fully automatic system. 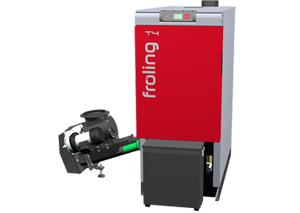 Froling also offers a wide range of fuel feeder systems for virtually all requirements. 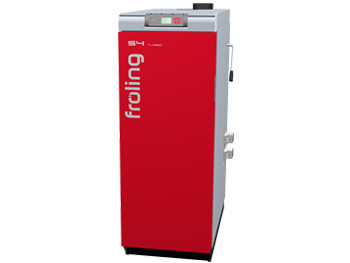 Optimum energy consumption is ensured by the detailed system engineering. 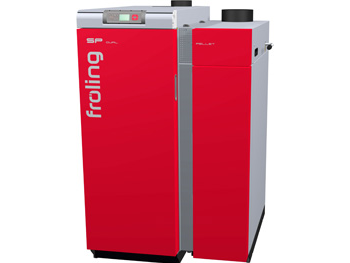 This means the Froling T4 can offer reliable, user-friendly heating! 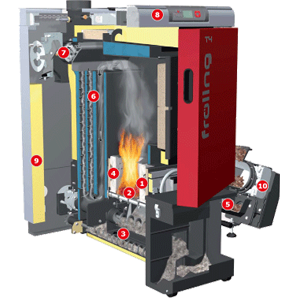 Premium-quality high-temperature combustion chamber with firebrick lining for minimum emissions and optimal combustion at a high efficiency. 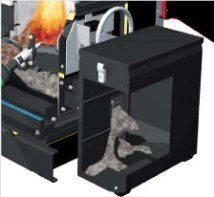 Two-part combustion grate consisting of a fixed grate section and the automatic tipping grate for cleaning away ash and foreign bodies. 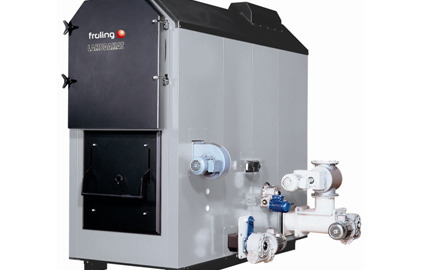 Underpressure-controlled combustion air supply with an actuator for primary and secondary air. Stoker screw with coupled rotary valve for optimal fuel supply and maximum safety. 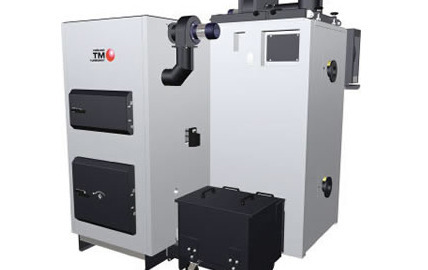 3-pass heat exchanger with Efficiency Optimisation System – WOS (turbulators for automatic cleaning of the heat exchanger pipes). Lambdatronic H 3200 controller with innovative bus technology. 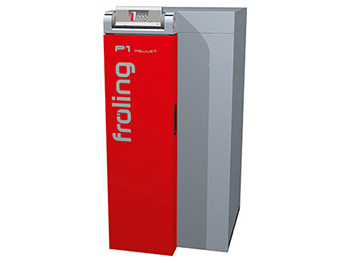 Fully insulated to minimize radiant heat loss. 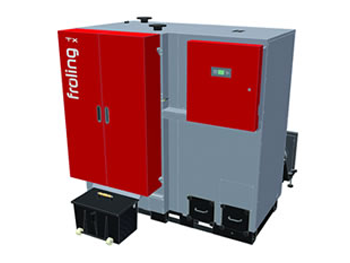 Energy-saving drives (spur gears) for extremely low power consumption.